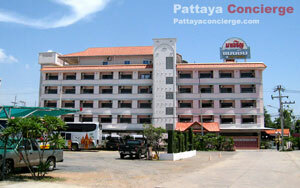 Pattaya is one of the most vibrant beach-front destinations in Thailand. In addition to the beaches, Pattaya’s great food, lively nightlife and wide range of other activities and tourist attractions beckon visitors from all over the world. Annually, over 7 million tourists descend upon this place to spend a great time holidaying and soaking in the sun and sand. Pattaya offers a choice of quality accommodation options to the hordes of tourists flocking there and that too at very affordable rates. Besides the hotels in Pattaya, visitors can choose to stay at any of the numerous serviced condos and apartments available. These are ideally suited to visitors who intend to have an extended stay in the place or for those who are looking for some more private time during their stay. Most serviced apartments within Pattaya’s city limits are built to cater to the standards of western tourists and include modern amenities. The buildings which have been constructed more recently often have collective facilities including swimming pool, laundry, health centers, etc. Serviced apartments which are targeted at long term visitors normally have adequate parking spaces allotted for vehicles of the residents. This may not be the case with hotels whose parking area is limited and available on a first-come-first-served basis. The extent of furnishing is largely dependent on the owner, with some apartments being fully furnished. Visitors may opt for unfurnished accommodation if they want to have specific furniture within the apartment. Furnishing the apartment in Pattaya is quite a simple task as there are a number of value-for-money furniture suppliers in the city itself. The entrance to the building complex is manned by a guard in uniform who is presumably there to ensure the security of the residents but, more often than not, are no more than ornamental pieces. Staffs at the condos are pleasant and take care of routine matters like paying electricity and phone bills. They also arrange to deal with maintenance issues. The dedicated staff at the condos can be really helpful especially for those who have not mastered the local Thai language. Some of the older buildings, which are mostly inhabited by Thais, are prone to maintenance issues. On the other hand, the maintenance of newer condos is often managed by foreigners who ensure that the condos remain in top condition at all times. Serviced apartments may be basic, no-frill apartments or high class beach side resorts and luxury condominiums with room rates starting from around $12 and going to over $120 per night. May to November is the off-season which coincides with the rainy season in Pattaya and hence room rents can be much lower during this time. For those who enjoy the rains this is a good time to visit Pattaya on a small budget. It is also easy to rent a serviced apartment in Pattaya for visitors on a short trip as owners of such apartments are generally prepared to hire out condos for short stays. While taking a serviced apartment on rent, the lessee should check whether the rentals include the cost of other services like water and electricity, maid service, internet, gym, etc. These costs are usually included in the nightly rentals but excluded for longer stay. It makes sense to double check these charges before making the booking. Also remember that rooms are available for a night or for longer durations like weeks, months or years with longer duration leases being available at steep discounts to the daily rates. However, be prepared to pay a deposit of the equivalent of two month’s rent together with one month’s rent upfront. Visitors to Pattaya would do well to factor these extra payments into their budgets. Luxury serviced apartments are a great alternative for those who want to enjoy the luxury of a starred hotel with a higher level of privacy. Serviced luxury apartments offer almost all the comforts of your permanent home. Many of the luxury serviced apartments are operated by hoteliers of international repute while others are owned by well-known Asian hotel chains. All adhere to the highest quality standards and are situated at unique, picturesque locations like beach front properties and cliff-sides which offer stunning views. All facilities normally offered by high-end hotels like swimming pools with pool bars, shops and restaurants, housekeeping services, fitness centres, room service are available in these apartments. 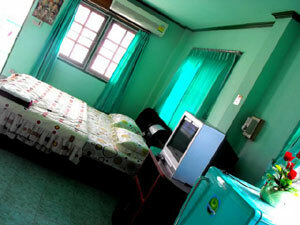 Additionally, the rooms are tastefully decorated and often command a scenic view of the ocean. The nightly rates for luxury serviced apartments are similar to that of luxury hotels. The rates can be negotiated for longer stays over weeks, months or years resulting in substantial savings. Budget serviced apartments offer great value for money, whilst still given you all the comforts of your own home. Of course you always get what you pay for, so don't expect the cheaper accommodations to have all the facilities to be comparable to luxury hotels and apartments. However you'll always have ensuite bathrooms, wardrobes and furniture, TVs with cable or satellite, a refrigerator and sometime other utilities such as kitchenette and Wi-Fi, and a balcony. Most of these cheaper serviced condos and apartments still provide great services such as housekeeping and room service, but there are some that may simply have an onsite shop and possibly a small restaurant. If you're looking for the best possible price on rooms, and don't need all the luxuries of 4-5 star hotels, then budget serviced apartments may be the perfect type of accommodation for your stay in Pattaya. Once the type of accommodation and the amount to be spent on it is decided, the location of the apartment will have to be carefully chosen before making the final booking. Serviced apartments are available in most parts of the city. Luxury apartments mostly dot the cliff-sides and beach front properties. The inland apartments are priced slightly lower to similar accommodation situated closer to the coast. Reasonably priced luxury and budget accommodation can be found at places like Naklua and Jomtien, North Pattaya, Sukhumvit which are located a little away from the centre of Pattaya. These places on the outskirts of the city may be the best choice for those who are willing to travel a little to enjoy nightlife at Pattaya. Staying at inland serviced apartments does not pose too much of a problem as people can easily move around in songteaws (baht buses) and taxis. Unfortunately for those looking to experience the famous Thai Tuk Tuks, these unique vehicles do not run in the city of Pattaya. At 10-20 baht per person, the baht buses are a reasonable way to travel all over the city. However, when travelling off the normal routes, it is always better to agree on the price with the driver of the songteaw or taxi before taking off else you may end up being overcharged for the trip.